With the frameserver can you edit and modify Your video in virtualdub and then "frameserve" the video directly to any encoder wihout creating a temporarily AVI file. 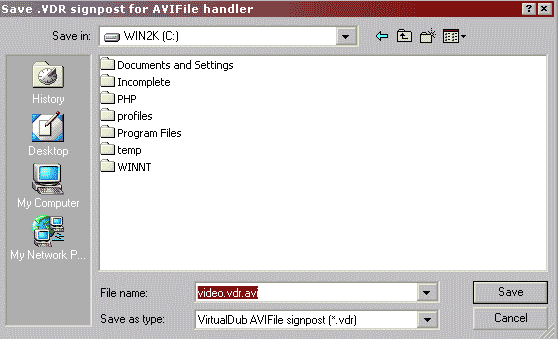 Install the AVIFile frameclient support first by run the AuxSetup.exe that you find the virtualdub folder and click on install handler. Open your video and do all the editing. Save the handler as video.vdr.avi, this file will just become a very small "dummy" file that "points" to virtualdub. Don't Stop it until you have encoded the video. Now launch your favourite encoder and you should be able to open the "dummy" video avi. 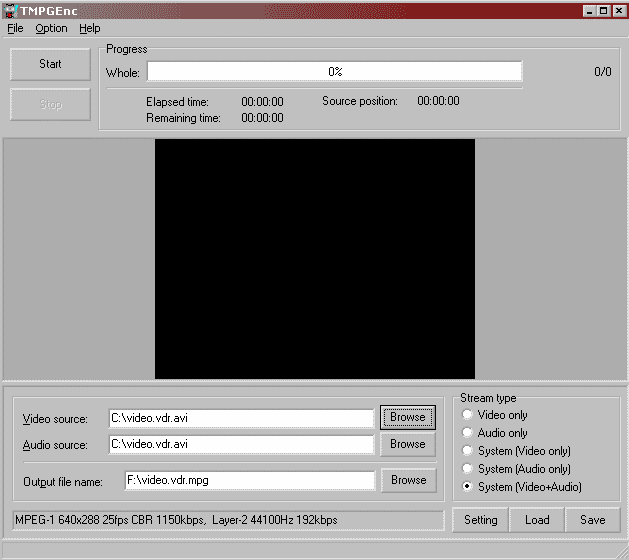 If the encoder gives you an error when opening the video.vdr.avi you may have to restart windows after you installed the Virtualdub handler. If TMPGenc gives you an error when opening the video.vdr.avi try this, read below here. Copy this msvcr70.dll to your WIN/SYSTEM32 folder and restart Virutaldub. Install the readavs.dll vfapi plugin, extract all files to a folder and run the install.bat. Install the ProxyOn by doubleclicking on the proxyon.reg that you find the virtualdub folder aviproxy. Note! Remember to click on ProxyOff after you have frameserved done. If TMPGenc gives you an error when opening the video.vdr.avi click on Option->Enviromental settings. 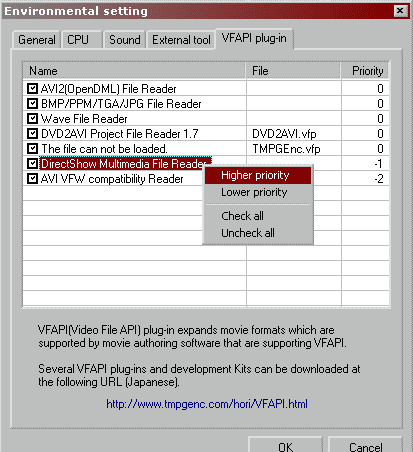 And this window appear, click on VFAPI plugin and right click on the DirectShow Multimedia File Reader and select Higher priority. Now try to open video.vdr.avi. 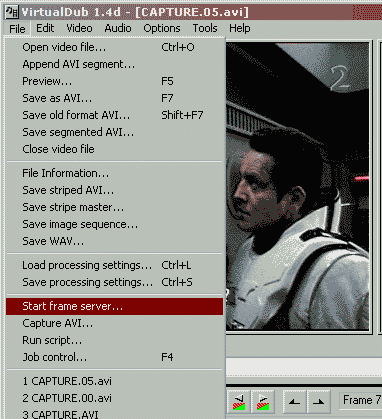 Remember to after you have encoded the video.vdr.avi to Lower priority on the Directshow Multimedia File Readear to avoid problem open other videos.